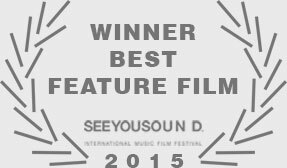 SEEYOUSOUND is the first italian festival entirely dedicated to a musical-theme cinema, renewing the cinematic culture alredy rooted in Turin. The first edition had place in May 2015, a debut crowned by an enthusiastic following of experts and public, with the presence of many special guests, artists, musicians, film directors, videomakers. This success has been an attestation of the love and the attention – in Italy and in the world- for the vast universe of short, documentaries, reportage and video clips that rendered the music a medium of language and thought. A competition, divided into three sections (LONGPLAY/feature films, 7INCH/short, SOUNDIES/video clips) and a non-competitive exhibition (named “Rising sound”): among the films, which are selected preferring the variety of languages and perspectives , 10 premieres for Italy. The juries, composed of representatives of well-known relief within film and music ambit, have identified three winning films between those in competition and awarded two special prizes (Best storytelling and Audience-Award). And then a carousel of creative digressions, in the days of the festival anf throughout the whole year, on the fil rouge of the music: concerts, djsets, panels, the photo exhibition Rock attitude and the two Directors Hackathon events, 72 hours to write, shoot and edit a video clip of an italian band from a song, and MTV’s La notte rossa dei videoclip (Music videos’ red night), an 8 hours non-stop event for 80 unforgotten videos of the MTV era. Each film is a world, each screening is a rendezvous, every sound is an image! Movies to see, to think and feel. The Festival first film exhibition offers a journey through the vision of different stories linked by music. They intend to show how the music, with its intrinsic limitless freedom, can break barriers, touch souls, can make you think and create links and strong motivation, can reach vast audiences conveying messages of strength, passion and freedom. Portfolio with an id of "quotreview_2015quot" is not defined. Post type with a slug of "project" is not registered. 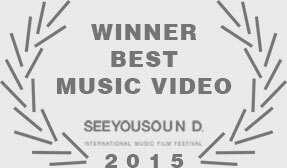 The first edition of SeeYouSound – International Music Film Festival ended Sunday, May 17, 2015. 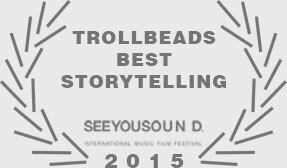 A prize was awarded to the films for each of the three sections in competition (LONGPLAY/feature films, 7INCH/short, SOUNDIES/video clips), to which two prizes were added, an Audience-Award e and a Trollbeads-Jury of Turin Award. The jury, composed by Jacopo Rondinelli, Jean Emmanuel Dubois and Alejandro de la Fuente, presents the Long Play Award to: Kidd Life by Andreas Johnsen (Denmark). 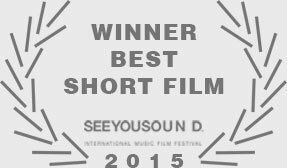 Motivation: The work is awarded for the story, which highlights the complicated relationship between a young b-boy and the fame achieved in a very short time with his hiphop band. An interesting story about the condition of the artists in 2014. Midsummer nigth’s tango by Viviane Blumenschein (Germany). 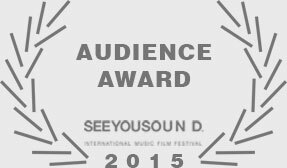 The jury composed by Domenico Carolina, Diletta Parlangeli and Lorenzo Vignolo, presents the 7inch Award to: Alan Vega – Just a million dreams by Marie Losier (France). Motivation: The film wins for the ability to weave humor, contradictions and everyday-actions in a compact, heartfelt but never predictable work. The jury composed by Christina Moser, Marco Danelli and Fabrizio Galassi, presents the “Nicola Rondolino” Award to: Albedo “Higgs” by Ivana Smudja (Italy). Our pulblic has given the Audience Award to Big sun by Christophe Chassol (France). 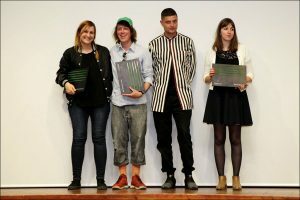 The Jury of Turin composed by Diego Amodio, Luciana Canoci, Luca Morino, Andrea Pomini and Johnson Righeira, presents the prize for the best story in pictures to: Wendeklang – in this place called techno by Rolf Lambert (Germany).